Andrea Bocelli returned to The Metropolitan Opera stage for the first time in seven years on Feb. 10 and 17, inspired by the theme of love. Bocelli was met with throngs of fans afterward, signing over 2,000 autographs. The Epoch Times caught up by email with the classical singer after the New York performances to discuss the concert, his recent album “Sì,” the art of singing, and family. The Epoch Times: Please share with us your experience of singing the “Three Centuries of Love” performance at the Met Opera? 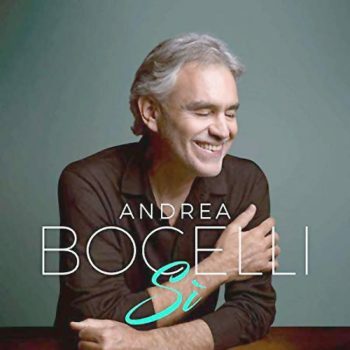 Andrea Bocelli: Returning to the Met stage, with both the responsibility and the duty of a musical flight inspired by love, in the biggest opera house in the world, was thrilling: It is an emotion that is difficult to put into words. Luckily, the audience showed their great appreciation on both dates, with a benevolence and a warmth that bewildered and moved me. The Epoch Times: When you are walking on the stage to perform and you are about to sing, what is running through your mind? What are your thoughts and feelings? 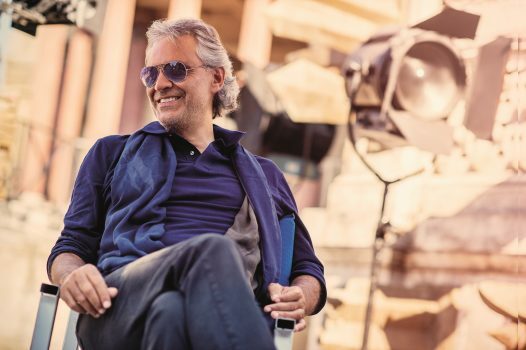 Mr. Bocelli: As I am an emotional person by nature, I still experience a kind of anxiety during those first few seconds on stage, due to my desire to give the best of me and out of my fear of being unable to do so. However, I always try to turn this anxiety into something positive, converting my apprehension into positive energy. The Epoch Times: Which was the most touching song you sang on the evening at the Met, and why? 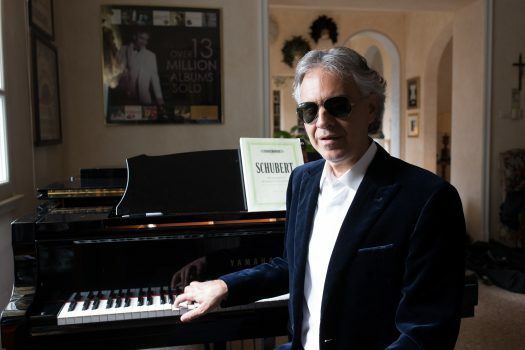 Mr. Bocelli: It’s difficult to select a particular song, because the program brought together some of the songs that I have always loved the most, including some of my absolute favorites. If I had to choose an aria, but “primus inter pares” or first among equals, I would name “Ah, tout est bien finí … Ô, Souverain” from Massenet’s “Le Cid,” a song that I chose to perform to open the concert, both for its spiritual dimension and for its a cappella section at the beginning which, in the silence of the packed audience at the Metropolitan, was an extremely emotional opening, for myself first and foremost, and for the audience also, I hope. The Epoch Times: Your album “Sì” resembles you closely, and reflects the values that you believe in. Can you tell us more about what it is you are wanting to express to the audience, the inner meaning of your latest music? Mr. Bocelli: The songs represent the result of an encounter, which always leads to change, between the performer and the listeners. When a record is released, in a certain sense the songs on it are no longer my own. They lose their original identity and are free to take flight and belong to those who would like to make them their own … And everyone will experience them with different emotions, grasping original and unexpected nuances of meaning, depending on their own sensitivities and experiences. The project that inspired me to create the album is the common thread of love, yet perceived in a fuller, more complete way: sensual love, a love for life, for beauty, for the fellowship that unites all of us who inhabit the world, and also for the one who made the world. From a purely musical perspective, on the other hand, I feel that it is a rather courageous record, in the sense that it presents entirely original tracks, including some that are complex from a harmony perspective, while others feature a much more current sound, and some are difficult to pigeonhole. Last but not least, I think that being able to bring together the power of artists from other generations, like Ed Sheeran, Dua Lipa, Josh Groban, and Aida Garifullina contributed to the strength, modernity, and success of the album. 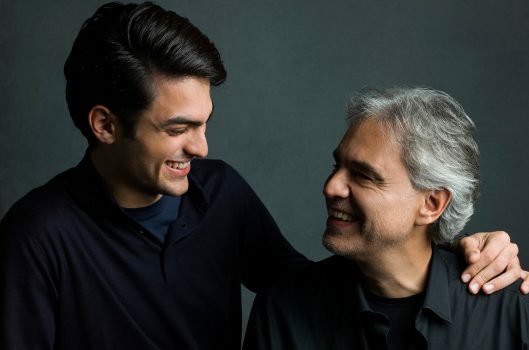 The Epoch Times: Mr. Bocelli, you sing with your son for the first time on an incredibly soul-stirring song, “Fall On Me,” that has shown the beauty of a father and son relationship. Tell us why this song meant so much to you and what you want the audience to get from it? Mr. Bocelli: When it is time to close the concert and say goodbye, I’ve always enjoyed sharing the joyous feeling that fills the stage with my children. It’s happened many times, first with Amos, my firstborn, then with Matteo, and in recent years, with my littlest, Virginia. However, you’re right; it was this song that convinced me to bring forward Matteo’s record debut. Matteo is, nevertheless, still a student at the moment, who is honing his talents at a conservatory. When the possibility of singing “Fall On Me” came about, it was an experience that was extremely emotional for both of us, because the song—the Italian lyrics, which Matteo co-wrote—can be interpreted as the voice of a son who is growing up and facing life, and a parent who supports and reassures him. I’ve always admired those fathers who’ve run businesses and had the privilege of being able to involve their children in the family business. I used to think that in the case of my work, it was impossible; however, life has pleasantly surprised me. And, I repeat, it is an immense joy to be able to have my son by my side on stage. The Epoch Times: As a man who sings from the heart, when you first go on stage, what is running through your mind? Please share an experience when you felt the presence of God when you were singing. Mr. Bocelli: The presence of our heavenly father can be felt by all of us, everywhere, and at all times in our lives. God is the miracle of love, he is the source of all that is good, he is synonymous with true beauty and the driving force of life itself. I personally try to honor the talent that I have been gifted. And when I sing, I can take no credit other than that of striving to live up to the instruments that God has given me. I always want to perform to the fullest, to live up to expectations (which increase as the years go by). I try to concentrate on the music and imagine a “one-on-one” relationship with each individual in the audience, and every time, I hope to enter the very hearts of those who are listening and convey positive emotions. When this happens, I have achieved my goal and I am happy. The Epoch Times: If this was to be your last day on earth, what song would you want to sing to the world and why? It is a prayer set to music, a Marian invocation which, however, adds an extraordinarily powerful and current word to its title: “pietas,” in the sense of compassion and respect for your neighbor, for those who are different, for those who are more vulnerable.